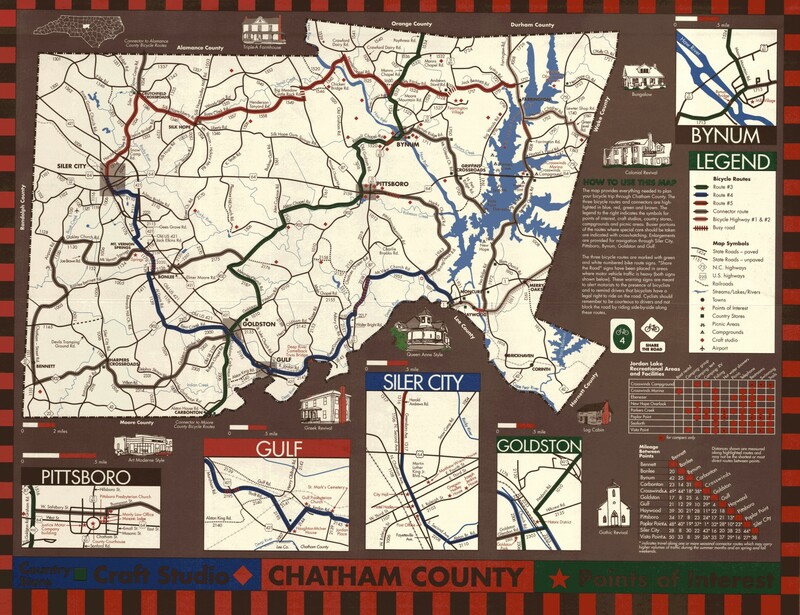 Order a map and find Carolina Connection, US Bike Route 1. 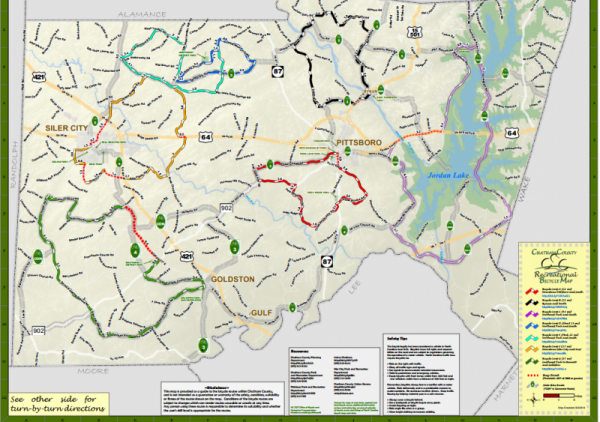 198-mile system of bicycle trails that cover lightly-traveled country roads to connect the towns, crossroad communities, and points of interest in Chatham County. 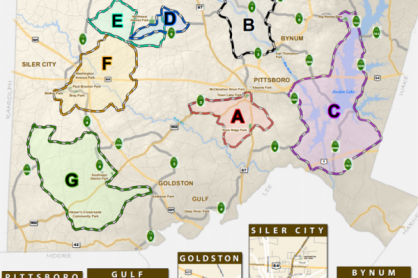 Request a free map, filled with unique sites and interesting information. View the map. 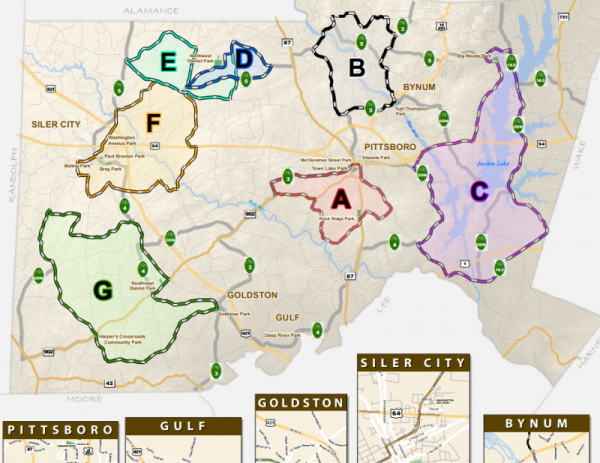 View the Chatham County bike map.